ATLANTA, December 4, 2018 – The North American Commercial Vehicle (NACV) Show, a biennial B2B trucking industry trade show focused on the needs of fleet owners, managers, and decision makers, announced today that all major Class 8 truck manufacturers will return for NACV Show 2019, following its successful launch in 2017. Industry leaders returning to display and launch their latest products include Daimler Trucks North America’s Freightliner & Western Star brands, Volvo Trucks, Mack Trucks, Navistar’s International Trucks brand, and Hino Trucks, to name a few. 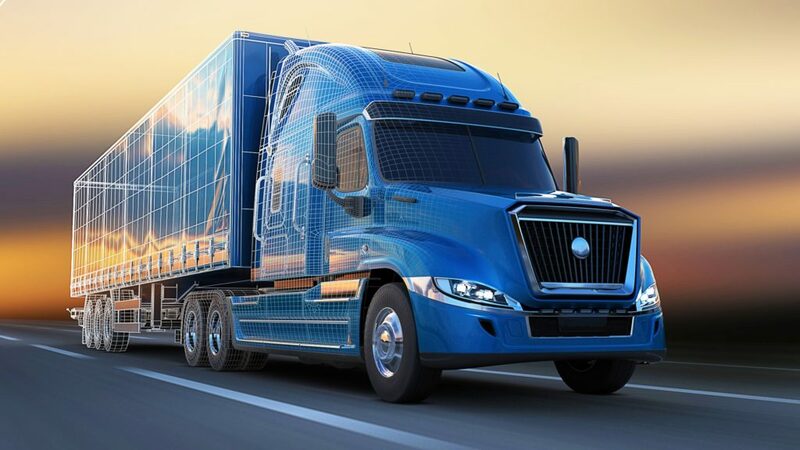 PACCAR’s Peterbilt and Kenworth will exhibit for the first time at NACV Show 2019. The NACV Show is growing and will cover 530,000 square feet of net exhibition space in 2019, up from 370,000 net square feet in 2017. NACV Show 2019 will span the entire Building B and expand into Building A at the Georgia World Congress Center. The organizers expect to host more than 500 exhibitors, up from 439 exhibitors in 2017. OEMs will offer exclusive looks at their latest model power units and trailers, advanced driver assistance systems, fuel efficiency equipment, safety technologies, and electronic logging devices. New features at NACV Show 2019 include a broader array of maintenance services, high-quality truck accessories, driver retention, and recruiting services. “Since its 2017 launch in Atlanta, the NACV Show continues to impress the industry with its cutting-edge demonstrations of commercial vehicle innovations and technologies,” said Larry Turner, president and CEO of Hannover Fairs USA (HFUSA), the NACV Show’s co-organizer with partner Newcom Media. “We are excited to expand the event’s footprint and offerings next year, and to continue to focus on the needs of a larger audience of fleet owners, fleet managers, fleet maintenance managers and other key decision makers from across North America.” More than 15,000 fleet management attendees are expected to visit the show in 2019, more than double the number of attendees at the 2017 event. The North American Commercial Vehicle (NACV) Show is a B2B exhibition focused on fleet decision makers and key influencers in the commercial vehicle industry. The NACV Show has been designated a Gold 100 Awards honoree by Trade Show Executive, a top (trade show) industry publication honoring the largest and most accomplished trade shows of the year. Leading truck & trailer manufacturers and commercial vehicle parts & components suppliers will demonstrate their latest product offerings during NACV Show 2019, taking place at the Georgia World Congress Center in Atlanta, Georgia from October 28-31, 2019. NACV Show 2021 will be held in Atlanta from September 27-30, 2021.